Invite participants to walk around the room and find a partner / partners with the same length of string. 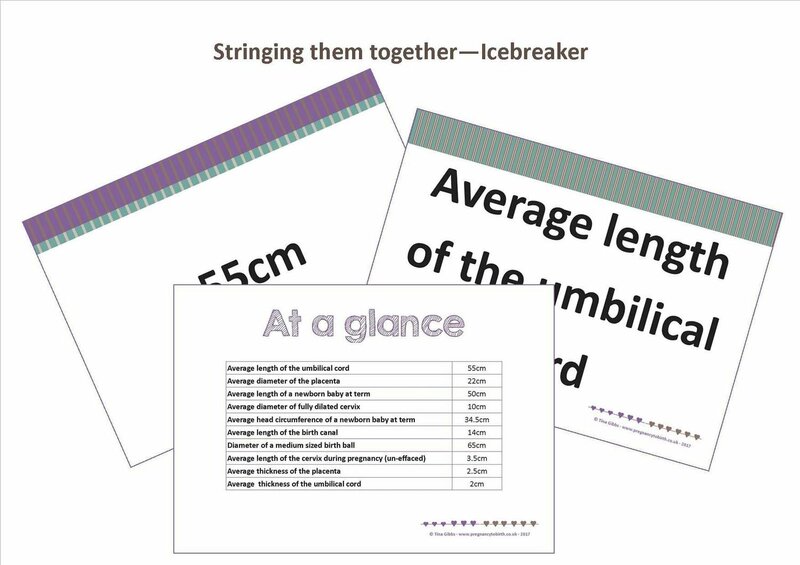 All strings relate to a baby, pregnancy or birth fact i.e. average length of the umbilical cord. An ideal icebreaker to form small groups in the first session to get people to talk to each other. Can also be used to divide a large group into smaller groups. There are 10 facts included. Available in A4 and A5. The activity comes in pdf files.